Ole! 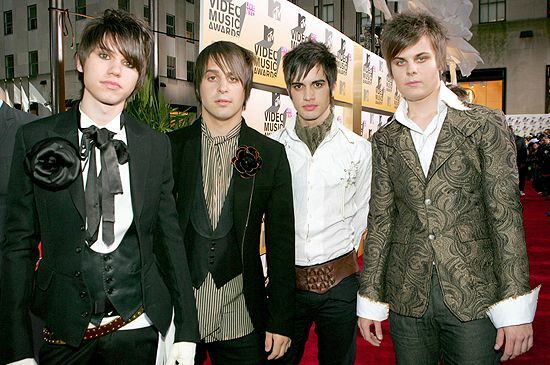 Winners Panic! At the Disco get their inspirations from bull fighting boleros. 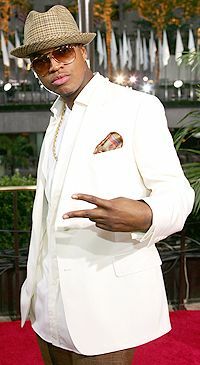 Presenter Ne-Yo looks as cool as his music sounds. The hat breaks up the white nicely. 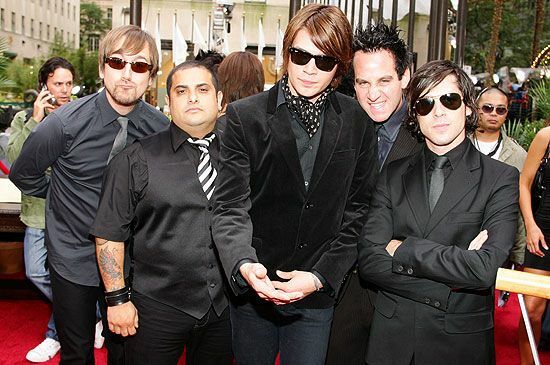 Can you guess nominees Taking Back Sunday's favorite color? Hint: it's not white. 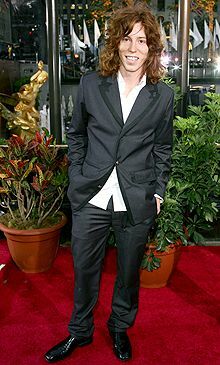 Not all guys can pull of sneakers with a suit, a white one at that. But Damien sure can. Smooth. 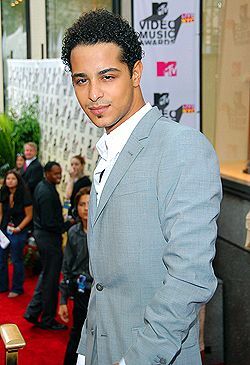 That's all that comes to mind when you see Mario Vazquez's total package. 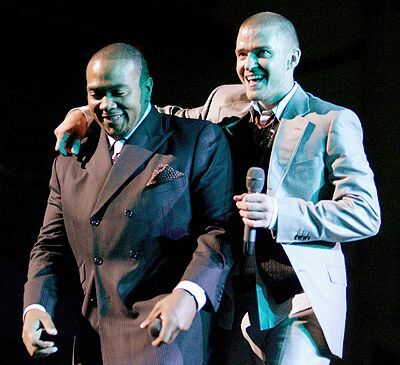 Performers Timbaland and Justin Timberlake look sharp in their suits. Cream pinstripes aren't common. 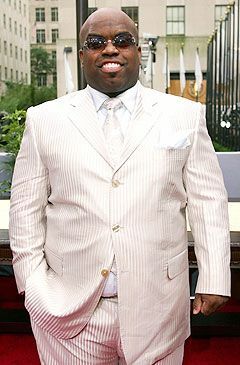 Count on winner Cee Lo of Gnarls Barkley to bring it out. 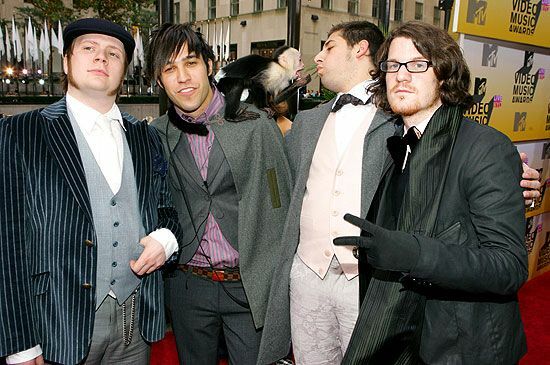 Winners Fall Out Boy dress like Houdini the magician and not Whodini the rappers. 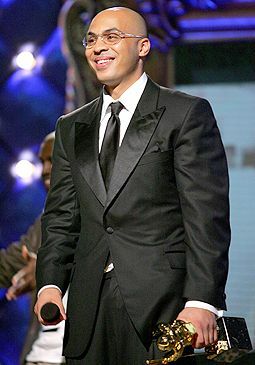 Winner Hype Williams shows how a little sheen on a suit can make you stand out. 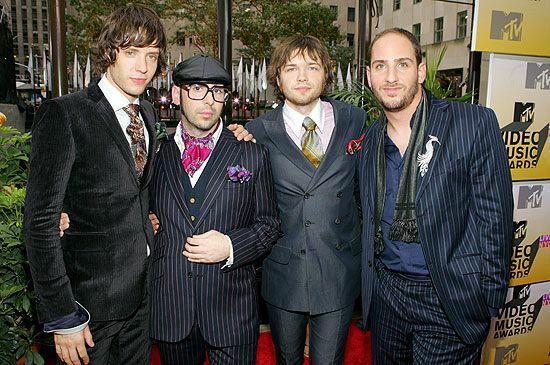 Performers OK Go have a taste for European tailoring with ascots, vests and scarves. 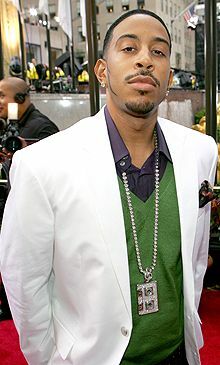 Do it like performer Ludacris does here and layering will class up your whole look. This is how your father used to dress up. 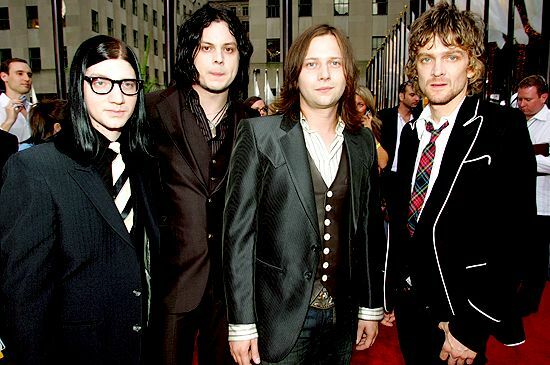 Performers The Raconteurs get vintage. 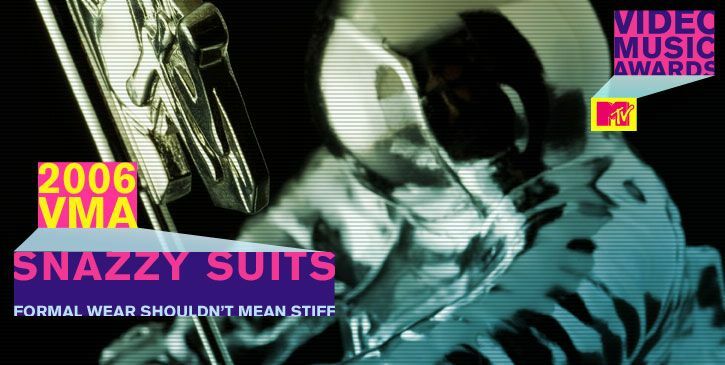 Even X-Gamers like presenter Shaun White sport suits. What's your excuse? Swing with me. 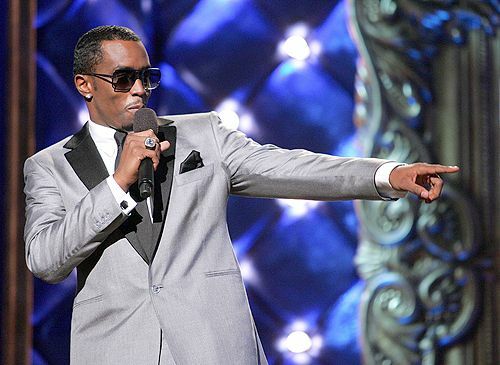 Presenter Diddy borrows a look from Frank Sinatra and the Rat Pack. 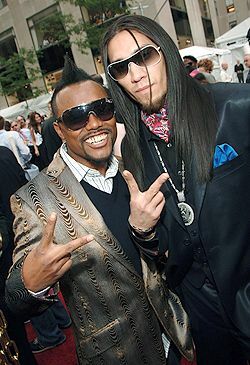 Winners apl.de.ap and Tabu of the Black Eyed Peas get shiny with their suits.